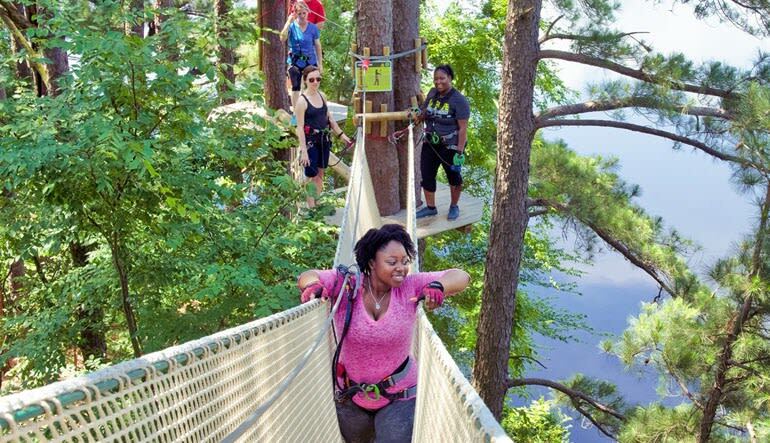 Harnessed safely above Lums Pond State Park, you’ll travel treetop to treetop, zip over water, traverse rickety bridges and likely get a glimpse of the colorful wildlife that calls Delaware home! Delaware’s Lums Pond State Park is a vast area to uncover. So, if you’re wondering where to begin your journey, there’s no better vantage point than from the treetops! 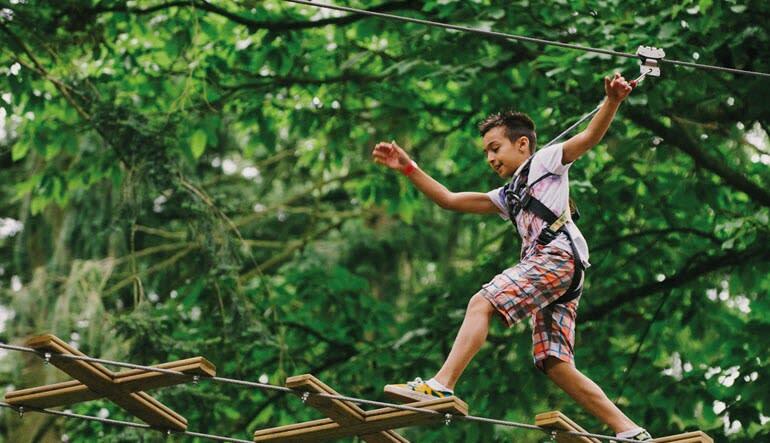 This Delaware zipline and canopy tour pairs impeccable views of the woodlands with a rip-roaring adventure over 37 thrilling crossings! Harnessed in, you’ll travel treetop to treetop, zip over water, traverse rickety bridges and likely get a glimpse of the colorful wildlife! Enjoy a 2 to 3 hour zipline and canopy tour in Delaware’s Lums Pond State Park! Start with a quick safety instruction and gear up with state-of-the-art equipment. Traverse 37 crossings from high up in the trees. Zoom along on 4 thrilling ziplines, including one that takes you right over the lake! Maintain balance while crossing suspended bridges. Spot the wildlife from treetop platforms! 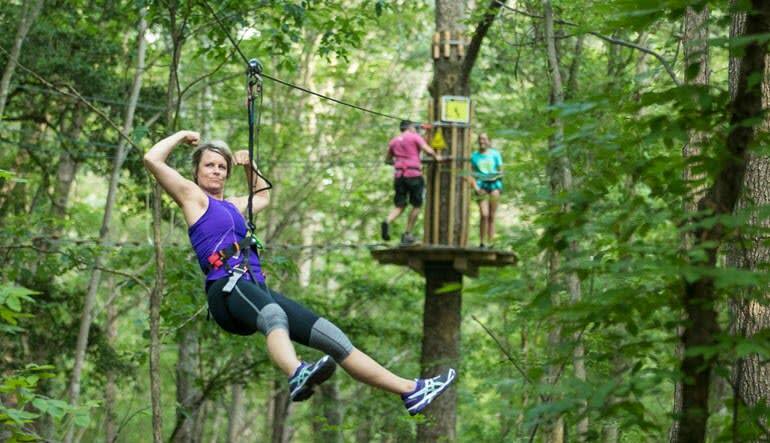 Delaware’s first and only treetop excursion remains one of the best in the nation. 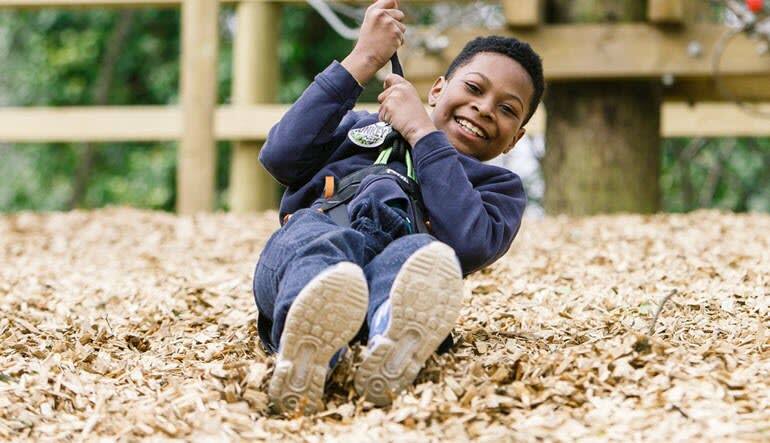 Bond with family and friends as you climb, swing, balance and zip along this incredibly scenic outdoor setting!